During Egypt’s 20th dynasty, toward the end of Ramesses III’s reign, a dangerous plot sows disorder inside the royal palace. The conspirators plan to hasten the end of the Pharaoh in order to place the heir of their choice on the throne. 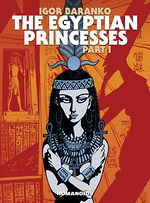 Unaware of the scheme, the inseparable daughters of the Pharaoh, Kiki-Nefer and Titi-Nefer, will have to uncover the mysteries of the forbidden knowledge of necromancy and black magic to confront their many enemies. 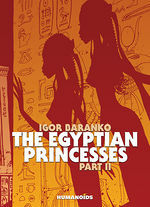 "The Egyptian Princesses certainly entertains. It’s a fascinating and gorgeous book, and there’s nothing wrong with that!"